Clear your campsite of branches and twigs and set up your tent properly with our Tent Ground Stakes. They're rugged by design, shaped with a hook on one end and a point on the opposite end for easy driving into the ground. 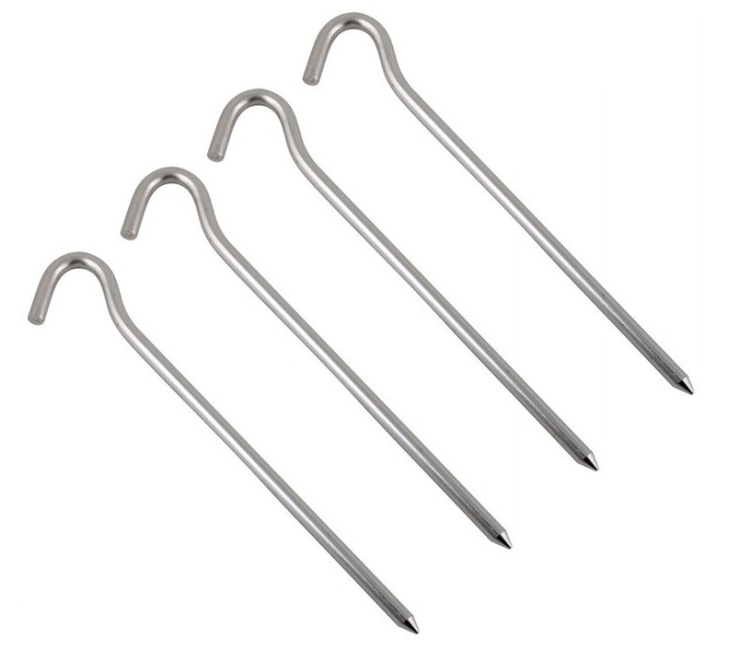 These lightweight tent stakes are constructed to hold your tent down securely. Store them safely inside a stake bag (not included) along with your camping gear when not in use.